Hey loves! 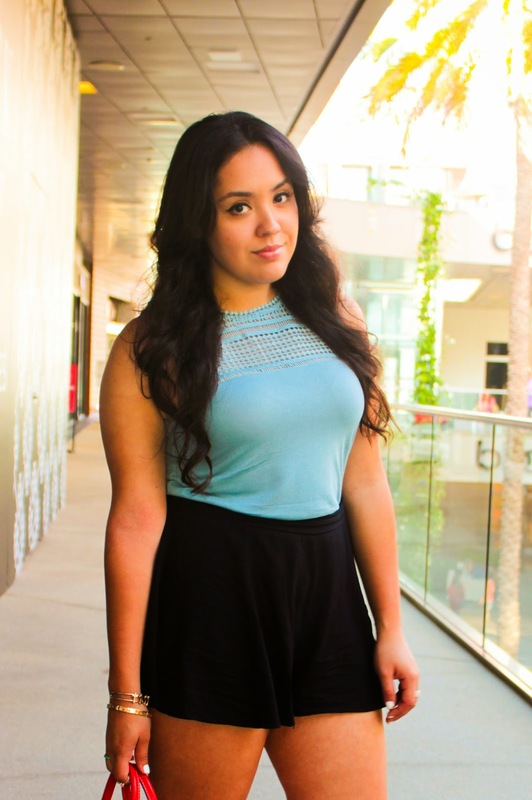 Here's a quick outfit post of what I wore yesterday while out shopping in Santa Monica. I still can't get comfortable with taking pictures in public, having people staring at me, wondering what the heck I'm doing, I just get all awkward and embarrassed .. hence, the lack of pictures in this post. My outfit is pretty simple, stuck to solid colors, in order to highlight the floral and cutout details in the shoes and top. These shoes are probably my ideal Summer heels.. and I plan on getting all the use out of them and wearing them repeatedly until the season ends. It is quite embarrassing taking pictures out in public haha but nonetheless you look great! 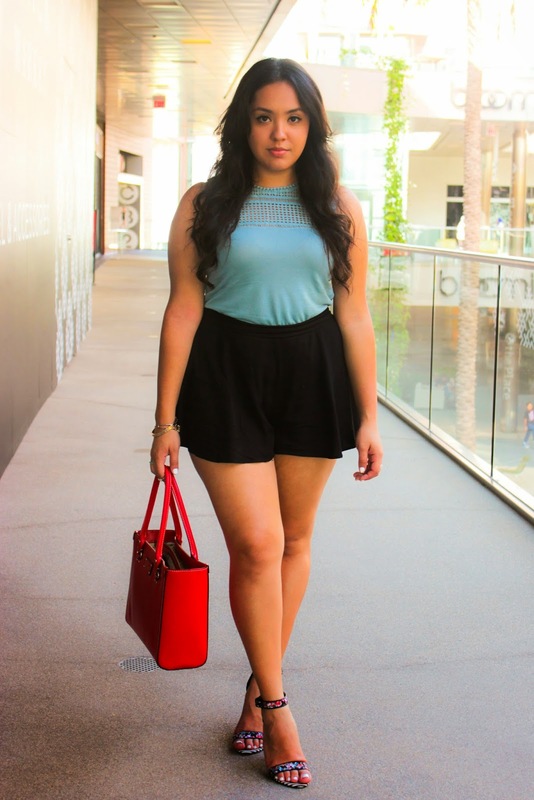 Love your heels and the pop of color with your bag, perfect! Yes, it can definitely feel awkward taking pictures in public! But these are gorgeous. I love the top. I love the mixture of the blue top and black shorts!